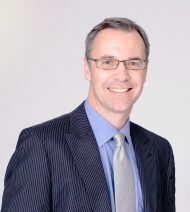 Michael Bennett is the Head of Derivatives and Structured Finance in the Capital Markets Department of the World Bank. He has spent seventeen years with the World Bank, (in both the World Bank’s Paris office and its Washington, DC headquarters) with a primary focus on structured finance. Among other areas, he is responsible for the World Bank’s transactional work in the area of Islamic capital markets. His notable transactions include the World Bank’s only sukuk issuance to date, a MYR 760 million issue in 2005, as well as arranging US$700 million of international “vaccine sukuk” for the International Finance Facility for Immunization in 2014 and 2015. Prior to joining the World Bank, he worked in the capital markets field in New York, Tokyo, and Hong Kong. He has published articles on Islamic derivatives, social impact sukuk, and sukuk to finance green projects, among other topics. He is a graduate of Columbia University Law School in New York.